Is there a chance to break the command down, I am not sure what every part of the command does ? 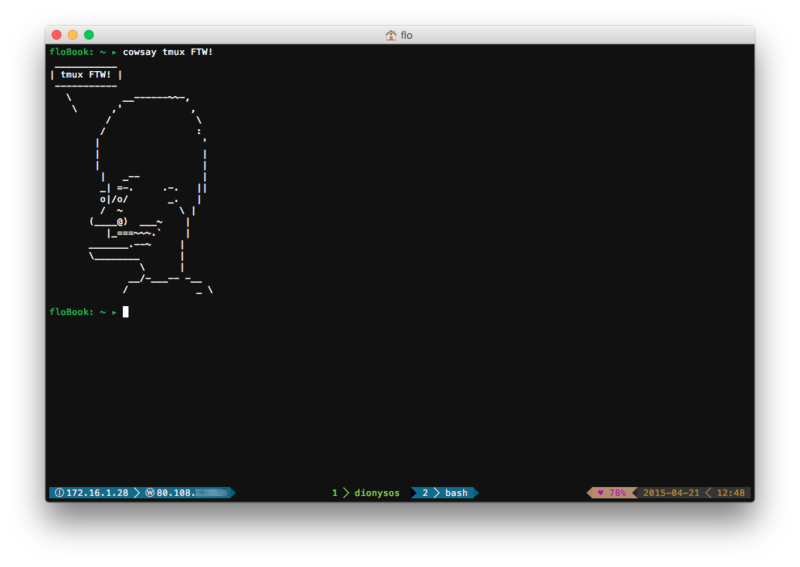 The first line overwrites the “ssh” command in your shell. The part after “if” basically tries to find out if you are inside a tmux session. If it finds out that this is the case, it will rename the current window with the first part (up until the first dot) of the fully qualified domain name you are connecting to. After this it just executes the normal “ssh” command and reactivates tmux’s automatic window renaming. The else part just skips the whole window renaming, since you’re not in a tmux session. I know the part about using the start of the FQDN until the first dot isn’t particularly clever, but it works for me. All of my servers get a primary DNS entry of $hostname.42dev.net so with this method I’ll always have the hostname as a window title. Looks good! Thanks for the snippet. This is good for my (and perhaps others’) applications where your ssh calls are of the form `ssh username@machineAddress. It’ll change the pane name to machineAddress (the IP, if that’s how to access it).